Vintage travel cases are hard to pass up at an estate or garage sale – a peek inside is just too temping, to see what history may yet linger within. 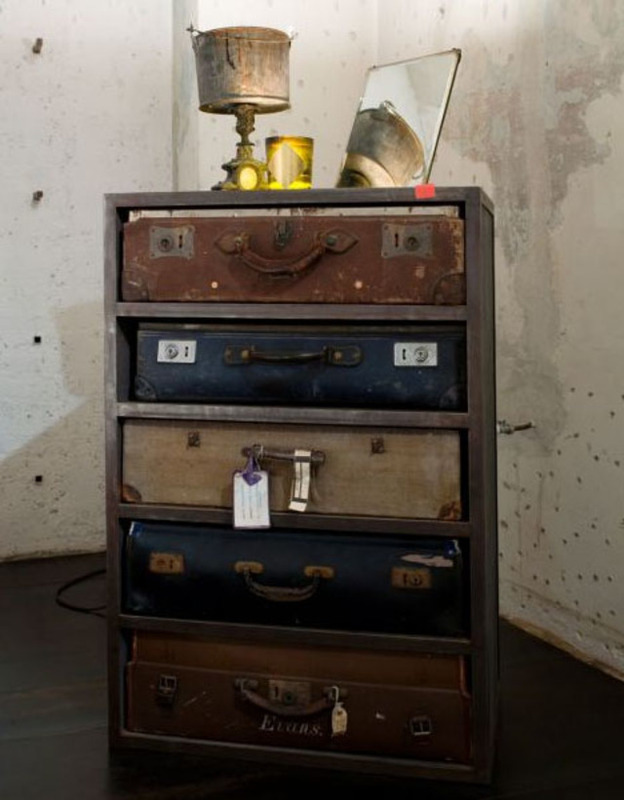 Still, they aren’t much use by themselves if they are worn and tattered, unless you are James Russel and Hannah Plumb of James Plumb Design, whose work covers everything from found object furniture to retro installation art. 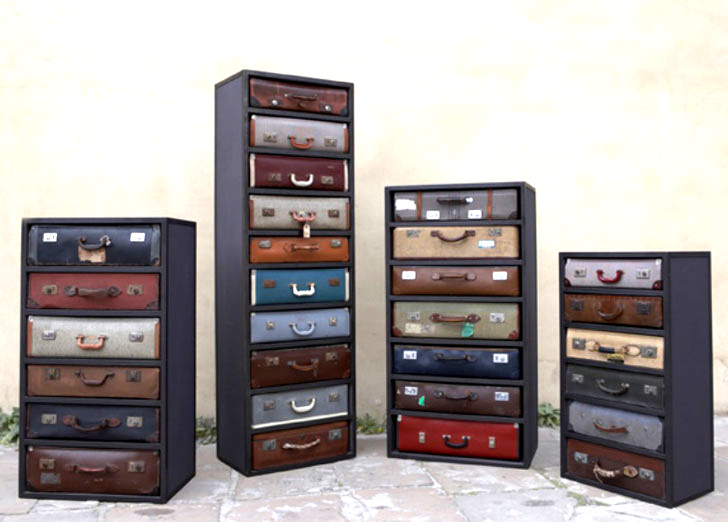 Their series of recycled suitcases transformed into one of a kind dressers is especially fun. 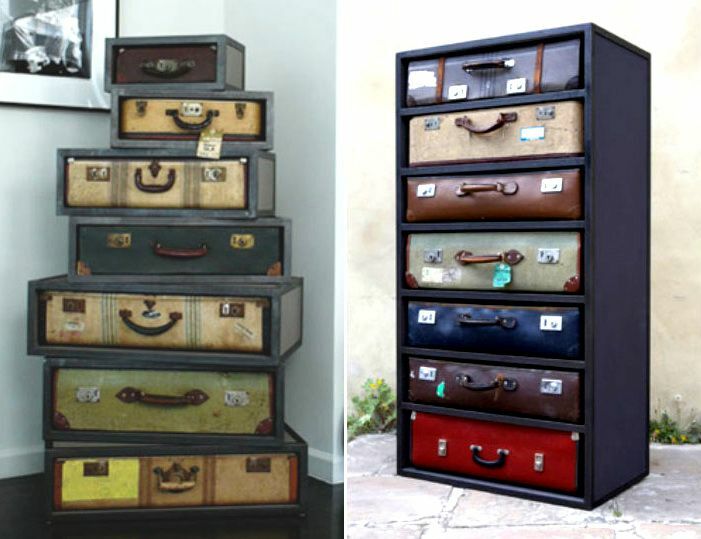 Ragged vintage suitcases are given a second chance at life inside metal towers, each made around a particular range of sizes to be both simple to construct but uniquely accommodating as well. 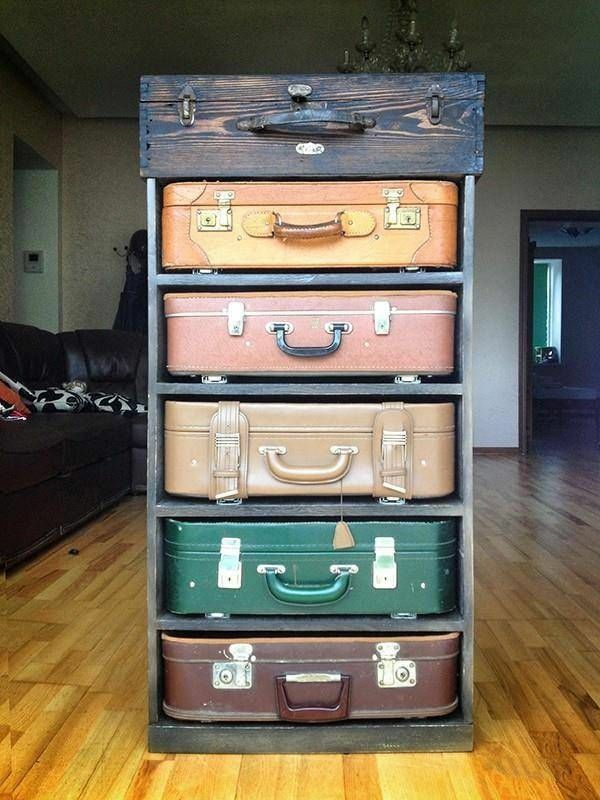 These DIY recycled suitcase dresser designs stack and sometimes stagger the old travel cases within the shelving, each one as unique as the found objects used to create them.